Dr David Grimes: Is the sun dangerous? All that we eat comes from the sun. Photosynthesis within the green parts of plants gives rise to the synthesis of sugars and oils. We eat fruit and vegetables, we enjoy olive oil and other oils, and we drink wine - as Galileo called it "sunshine wrapped up in water". In Europe, and probably in North America, about 75% of agricultural produce goes into animal feed (probably too much) and so all our meat comes originally from the sun. The same occurs in the sea. 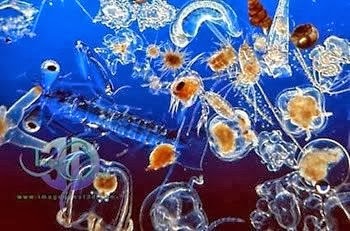 Plankton and similar simple organisms absorb the sunlight and grow, starting the food chain through fish of increasing sizes, ultimately finishing as our food (again, too much of it). The point is that the sun is essential for life. But there is always a downside and the sun can be responsible for destruction. Fire! Picture a forest fire for example in Australia, in this case Tasmania. The vast amount of energy released is energy that the forest biomass acquired from the sun and it is stored in its structure. The amount of energy is immense, but so is the amount of energy that radiates from the sun on to the surface of the earth. The higher the altitude the greater amount of sunlight energy at ground level. Compared to sea level, at a higher altitude less of the energy from the sun will be absorbed by its passage through the atmosphere. The higher the altitude of residence the better the health. But in the aftermath of a fire there is rain. This is the result of evaporation of water from the sea, again an effect of the sun. The vegetation regenerates after a massive fire. And so of course the sun is dangerous, but the advantages obviously outweigh the dangers. The Earth survives sun-related fires. It is the same with human beings. The sun is essential in providing us with food and rain. It also provides us with something essential - Vitamin D.
All vitamin D comes from the sun. This can be by its direct effect on our skin. Vitamin D is produced by the sun acting on its precursor 7-dehydrocholesterol, which is synthesised not just by our skin but by plankton in the surface of the sea. Vitamin D thereby enters the fish food chain, or perhaps from mammals that we eat. But the great majority of our vitamin D should come from the action of the sun on our skin. And don't forget that the sun acting directly on our skin also produces nitric oxide, which is necessary for at least cardio-vascular health. It is essential that we expose our skin to the sun if we wish to avoid vitamin D deficiency, the alternative being that we take fish oil vitamin D supplements by mouth. Once again there is a danger but the advantages of exposure to the sun outweigh dangers probably several hundred-fold. The obvious and main danger is acute sunburn, and those with a fair skin must be very conscious of this. The main danger is in the summer, in locations closer to the equator than where we usually live, and also at high altitudes. Pigmented skin, either inherited or occurring in response to sun exposure, is protective against burn but not completely so. The sun is best avoided at mid-day in these situations - the song goes that "Mad dogs and Englishmen go out in the mid-day sun....", and there is much truth in this (song by Noel Coward). "Mad dogs" are dogs with rabies, which have thereby lost their reason and so they can be found out in the mid-day sun, whilst well dogs are sensibly resting in the shade. "Englishmen" refers to men from England who are living in India. The title of the song is taken from a poem by Rudyard Kipling, who spent many years living in India and is perhaps best known for his "Jungle Book" and "Just So Stories" for children. The song indicates that men recently arrived from England have not yet learned of the strength of the sun in sub-tropical as opposed to sub-arctic places of residence. The northern parts of the UK are at a latitude further north than anywhere in China, about the same latitude as the southern parts of Hudson Bay and the fringes of the Antarctic. British people are used to gentle sun and we are often not adequately careful when we visit more southerly countries such as India and Spain. Remember that in the middle of the day it is the parts of the body that face upwards that have maximum exposure - the top of the head, the nose, the ears, the shoulders if not covered, the tops of the feet if not wearing shoes. If exposure is prolonged, these should be protected by hat and clothes or by strong factor creams. Lying flat in the sun - sunbathing - is not to be encouraged and is not necessary for adequate vitamin D production. Normal activities in the sun are adequate. Lying in the sun means exposure of much more of the body to direct overhead sun and can cause serious burn. In the mornings and evenings the sun intensity is much less and protection will not be necessary. A rule of thumb is that if your shadow is longer than your height then the sun will not cause burn. Also note that there is no danger in what is called a "physiological erythema", a temporary reddening of the skin after sun exposure. This should not be equated with sunburn, which is by definition painful. Reddening of the skin after a hot bath is not a scald! The sun, like all radiation, can cause DNA damage to cells in the skin. This is stated as a reason for avoidance of all exposure to the sun. Not so. The body is built to repair DNA damage over a period of a few hours. This is part of the overall physiological self-correcting process of the body. The sun is not new and we have survived as a species for millennia despite the historic absence of sun-block creams and misinformed government advice. Sun exposure should start in the early spring when sun intensity is adequate to produce vitamin D synthesis but unlikely to cause burn. It will encourage the gradual development of a protective tan and vitamin D actually activates tanning genes. Advice to use high factor sun creams before going out of the house is ridiculous and in respect of children it is likely to lead to vitamin D deficiency. Restrict but do not avoid completely exposure of the skin to the sun. Avoid prolonged high intensity sun exposure, not all sun exposure. You will be wondering about skin cancer. Melanoma is not the result of sun exposure - see a further post shortly. Non-melanoma skin cancers, the mild and not dangerous basal cell and squamous cell cancers are the price to be paid for being fair-skinned and having a good outdoor life. They tend to occur in later life and the most important thing is for bald men to take great care of their scalp with protective creams and a hat. Exposure to the sun over a long period of time can lead to sun damage called solar or actinic keratosis. It is not dangerous. People with solar keratosis have a reduced risk of multiple sclerosis, due to high levels of exposure to the sun. Non-melanoma skin cancers are also associated with better health and longer life expectancy, again due to sun exposure, a good thing. Further details on various skin cancers and the influence of the sun are to follow. A nice meander through the subject with lots of life lengthening tips. As a gardener I am interested in photosynthesis in plants and it is worth mentioning that while photosynthesis of plants is active behind glass, your very different photo-synthesi of vit d is not. I have just been giving my greenhouse an Autumn clean so as to maximise light transmission through the glass. I often wonder about the effect of glass on sun energy. Would the photosynthesis of plants be improved if they were outside? You suggest that glass has no effect of the photosynthesis of sugars and oils, but I do not know the answer. I have never looked into the research but now I must. I understand that glass prevents sunburn and suntan, but I do not know if it prevents vitamin D synthesis. It is assumed that it does and that it is essential to be outside for vitamin D synthesis. This was assumed in the old tuberculosis sanatoriums, or sanatoria if you prefer. But I have not come across the research that might substantiate this. It is interesting that actual evidence about glass effects on vit d synthesis is so scanty! May I ask a subsidiary question? Plant photosynthesis in the winter months slows but does not stop - assuming suitable temperatures. It might be insufficient for vigorous or even healthy growth but it still continues. I have the impression from my reading elsewhere that Nov-Feb light for vit d production is inadequate and indeed production stops totally. My instincts suggest this is not so. Is winter sunshine in the UK any benefit at all for vit d production? PS I am at the moment getting a generous ration of sunshine in Costa Rica. Home tomorrow! I have a reading license medical staffing. and I am told that I can't teach out of license. Yet every time I step into a classroom I am teaching out of license. I wonder if anyone else sees the contradiction here?